The tuning firm Speedriven released details of its latest Mercedes-Benz tuning project, the EV12. The EV12 is based on an older version of the V12 powered E-Class, but the photos seen show that this vehicle has undergone some heavy performance modifications. The enhancements resulted in a new output of 700-horsepower thanks to a top-mounted water-to-air intercooler, "scorpion" air intakes, large fuel injectors and billet-wheel turbochargers. The EV E-Class also comes with a reprogrammed ECU and TCU. 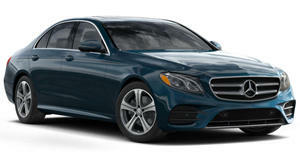 The tuned E-Class also sports a Brabus aerodynamics package and a blacked-out grille. Unfortunately, Speedriven hasn&apos;t released all the details yet regarding performance figures and pricing.